If you’re into the arts – and especially looking ahead to what’s coming and where you should be spending your precious time and money – you’re not going to find any better early warning system than Portland Monthly’s coverage. For the arts, the weekly On The Town message channels the always online Culturephile. It’s fast, beautifully designed, and packed with valuable picks. 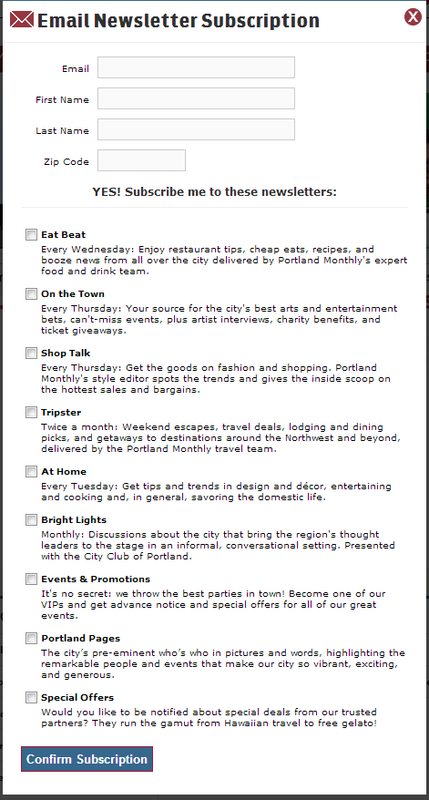 What you DO want in your Inbox: PoMo’s On The Town email. Sifting all the details so you don’t have to. What, you’re not signed up for PoMo’s emails? Quick, before anyone finds out (and blogs about it), go to PoMo, click “Newsletters” on the upper menu, and sign up for all of ’em. “Do I really want all of these?” Yes, you probably do. Now that you’re signed up, you can focus on just what you need.